English Editorial Services’ mission is to assist international businesses and organizations of all sizes to communicate clearly, correctly, and persuasively with their business partners and target audiences using words and images. As part of our services, we offer a new Business Term of the Day each business day explained in both English and Czech. To have these terms delivered to your email at no charge, subscribe to the Business Term of the Day. Philanthropy is the practice of acting to improve the conditions of disadvantaged people by contributing money or other resources – and very often also one’s time and talents – to good causes. Filantropie je praxe chování za účelem zlepšení podmínek znevýhodněných lidí přispíváním peněz nebo jiných zdrojů – a velmi často také času a talentu – na dobročinné účely. 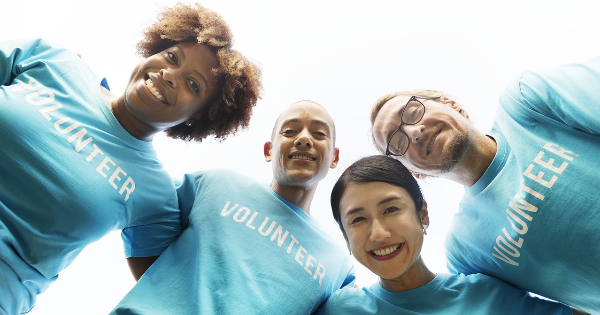 As part of its corporate social responsibility efforts, Voltic has again this year increased the amount of money it dedicates to philanthropy. V rámci svého úsilí pro firemní společenskou odpovědnost společnost Voltic tento rok opět zvýšila množství peněz, které věnuje na filantropii. Philanthropy literally means “love of people”, and it is now commonly understood to refer to charitable activities for the benefit of large groups of underprivileged people or humanity as a whole. Because money donated for charitable purposes is tax deductible, philanthropy can be used as a means of (legal) Tax optimization. Filantropie doslova znamená „láska k lidem“ a dnes se obvykle chápe jako charitativní činnost prospěšná pro velké skupiny znevýhodněných lidí nebo lidstva jako celku. Jelikož peníze věnované na dobročinné účely jsou odečitatelné z daní, filantropii lze použít jako prostředek (legální) daňové optimalizace. Subscribe to the Business Term of the Day at no charge. To unsubscribe or change your delivery email address, please send us an email at terms@englisheditorialservices.com. Your message is important. Your image is precious. You know what to communicate. We help you to say it.